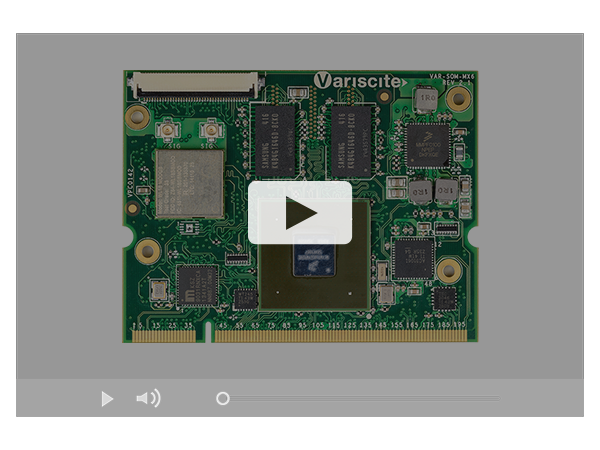 The VAR-SOM-MX6 sets the bar for unparalleled design flexibility. 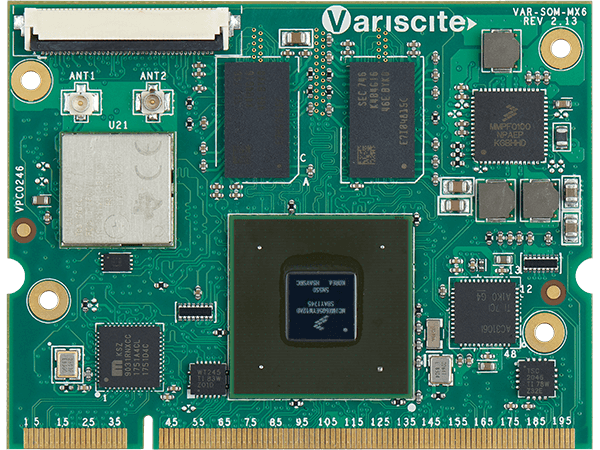 Supporting the i.MX6 QuadPlus/Quad/Dual/DualLite/Solo core ARM Cortex-A9, the VAR-SOM-MX6 allows designers to use a single System on Module in a broad range of applications to achieve short time-to-market for their current innovations, while still accommodating potential R&D directions and marketing opportunities. 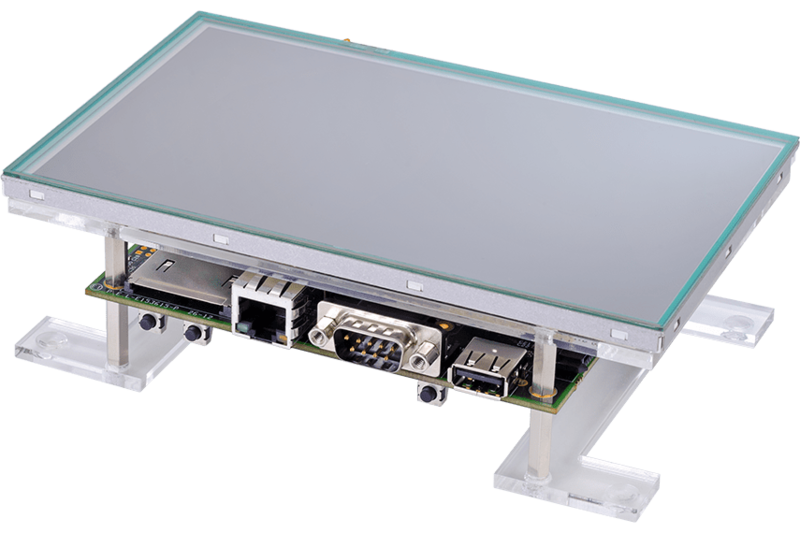 This versatile solution’s -40 to 85 °C temperature range, certified WiFi/BT module including optional Dual Band 2.4 / 5 GHz and MIMO and Dual CAN support is ideal for industrial applications, while 1080p video and graphics accelerations make it equally suitable for intensive multimedia applications. 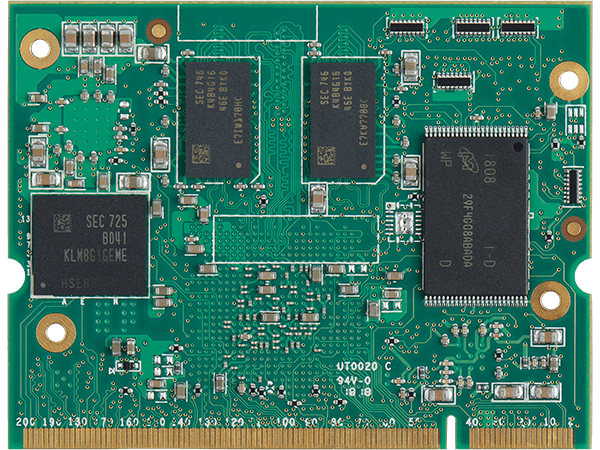 New: i.MX 6QuadPlus with 50% enhancement on the graphics performance over the i.MX 6Quad in a fully pin-2-pin compatible solution for full scalability. 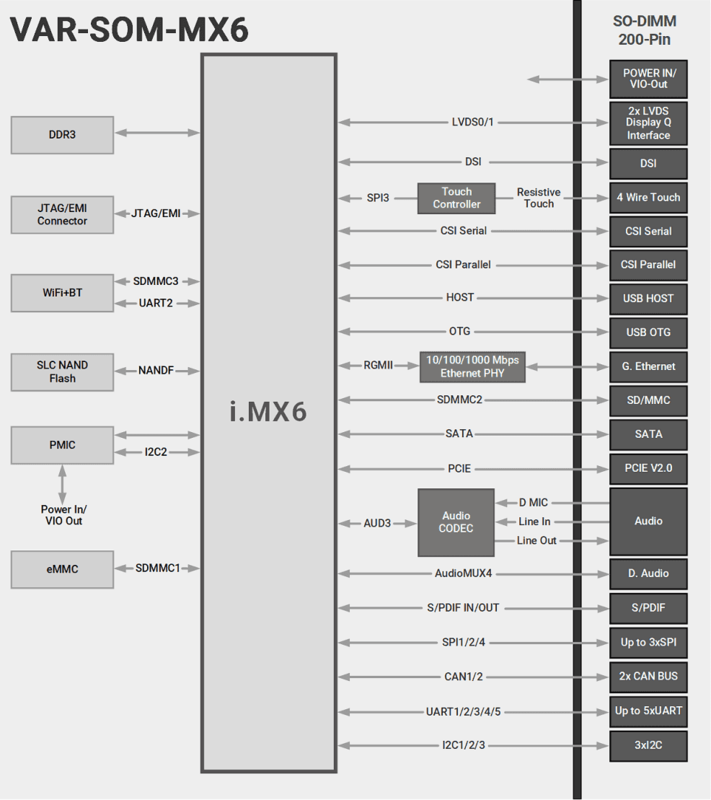 The VAR-SOM-MX6 Starter Kit serves as a complete development kit for evaluation and application development purposes. 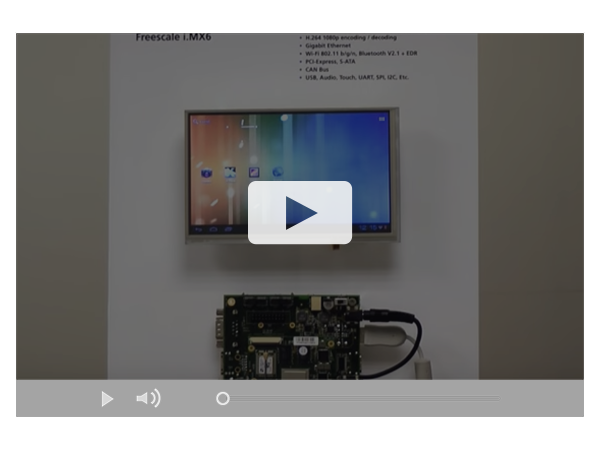 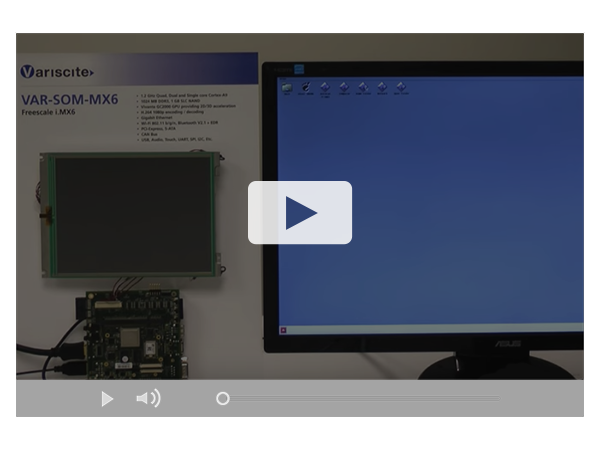 The VAR-SOM-MX6 Development Kit provides a great showcase of the VAR-SOM-MX6 connectivity features and performance.